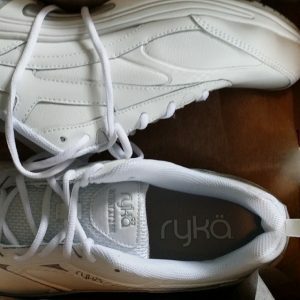 Last month, I was sent a pair of Ryka shoes for women to test out (that review I did on my weight loss/fitness blog is totally honest and all opinions are my own). Those Ryka cross training shoes are awesome. It was perfect timing since we have some upcoming trips and I needed some better shoes for all the walking and other activities we plan to do. I don’t like coming back to the hotel after a long day of walking while sight seeing and have to put my swollen feet up all the time. I have a feeling I’ll be a lot more comfortable now. I chose to test out the Intent XT 2 SR cross training shoes. I have never ordered shoes online so I was a bit worried that they wouldn’t fit or I wouldn’t like them. I was wrong on both accounts. These shoes are perfect for me. They are light and don’t feel like they weigh anything (perfect to wear or pack for traveling), water and stain resistant and they have an anti slip traction outsole. No more slip sliding through the airport. Ryka is also shipping me out a pair of their Emotion walking shoes to take on our trip next week. I sure hope they get here in time and fit. They look like something I would wear to the airport because they would be easy to remove going through security. And before you ask, no we don’t have TSA Pre√ YET. I always need to make sure I have good travel shoes and I think Ryka’s women’s shoes are going to be a hit. I am already loving the cross training shoes for walking. They also work well on the recumbent bike. And I think they will be great should we have time to use any of the hotel fitness facilities. 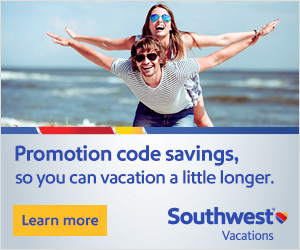 Either way they will work out nicely for our whale watching and Alcatraz tours. Check out Ryka if you get a chance.